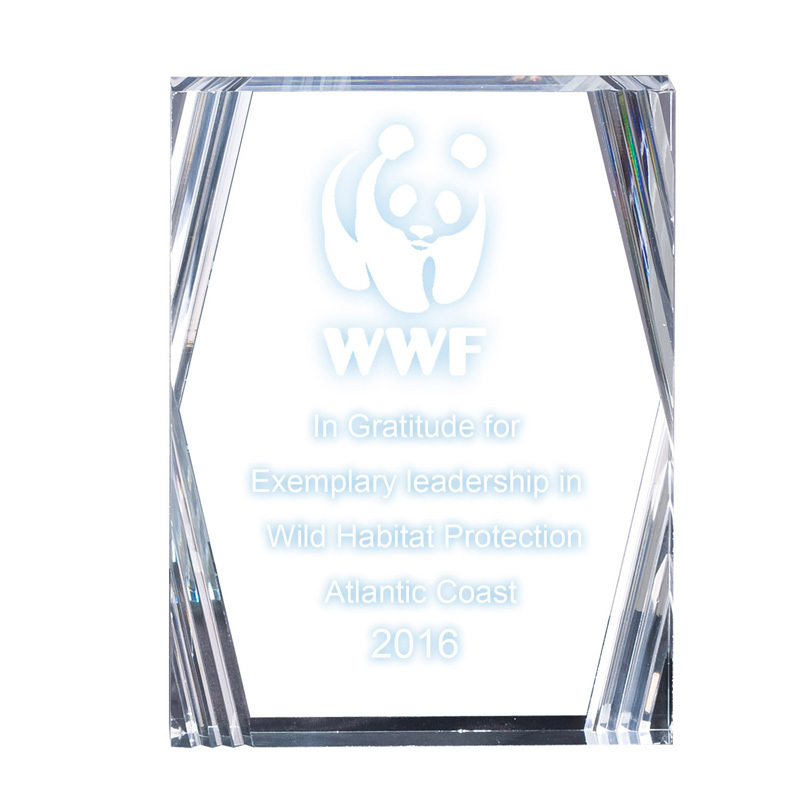 Item Description: 6" x 8" x 7/8" Corporate clear acrylic rectangle award with beveled cut corners. Engraving Options: Engraving option below includes plain text maximum of 8 lines and 25 characters per line of text and/or a logo. Logo can be uploaded via the "Upload artwork file or engraving info" link below. Only B&W detailed line artwork created in Adobe Illustrator/Photoshop (.eps), CorelDRAW (.cdr) or Acrobat Reader (.pdf) are accepted for laser engraving.